Dorm Life, Roommates: Friends or Foes? When one stays in the foreign city / country for a longer period of time, there is an urgent need of finding an accommodation, which will fit one’s preferences. I have already mentioned in my previous post the young consulting agency, which successfully operates in Seoul and helped some of my friends to find a flat or a room. While some of my friends preferred renting a room outside the campus, I personally stayed at the dorm here at Chung-Ang University and therefore have much more to say about dorm life, rather than private accommodation.I will not now describe the dormitory rules of Chung-Ang University (because it worths the whole new post), but will rather generally describe what I’ve learned from having a roommate. 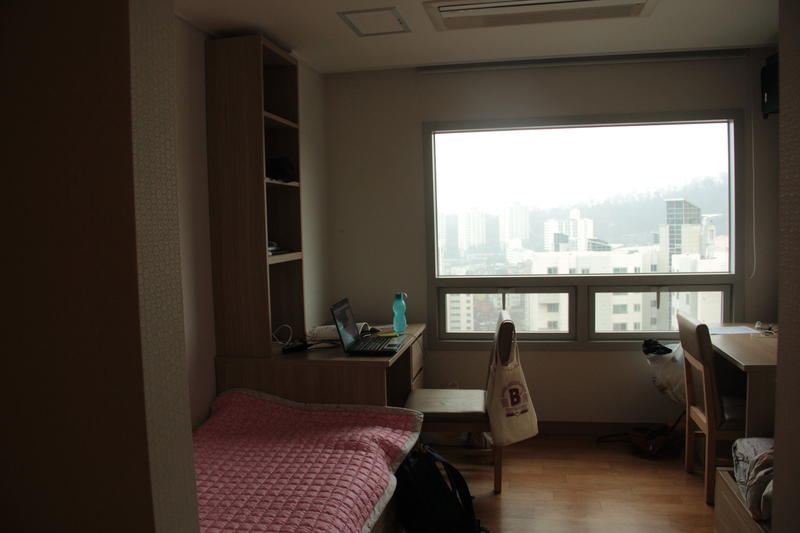 So, if you stay in a Korean university dorm, you might be placed in the shared room (I know that it’s a case in Ewha as well and many other universities in Korea). I can confidently write that this will become a great, invaluable experience, if you never did that before. Of course, it might not always be easy or smooth, because people are from different countries, cultures, families, mindsets, mentalities, age, views, habits but… well, that’s what makes it so awesome to go for exchange and learn about lifes of other people. Sharing your living space with a roommate, who comes from different social / political /economic reality helps you understand life styles’ variety, and it makes you think out of box. It also teaches patience and tolerance. On one hand, there’s always a person, who’ll be able to help if you need something. It is much easier to get closer emotionally, if you literally see the person every day, you know each other’s habits, preferences, secrets, so it is impossible to hide the real personality or “act” on public, you also reveal your natural behavior and so there is high probability that he or she will become your very close friend in the end, or at least extremely good acquintance. And networking, as well as weak ties, never harms :)According to my personal experience, however, what might be not that pleasant is a psychological burden: i.e. the fact that you’re always physically sharing a space with someone. For people like me it might take some time before you feel very relaxed in your room. The reason is that everyone needs some personal space: material or imaginative / psychological; so if you’re used to living in conditions, where your personal material space coincides with your psychological one, there might be a mismatch at the beginning of living in a shared room.What in fact matters more is your internal serenity and in order to reach it, you will need to find your own way of building this personal «psychological room»: either by abstracting yourself from material presense of another person in the common physical space or enjoy sharing this space with another person by creating a pleasant atmosphere complemented by each others’ positive contributions (e.g. good mood, sense of caring, communicating and supporting each other, sharing knowledge/emotions/experiences. The second option is more demanding, I guess, but this quality is extremely valuable after all, trust me, it helps so much in life). Try to openly, but not accusingly, talk to each other once the problem which you share appears, e.g. if you’re not happy with the cleaning schedule or the temperature level in the room, or sleeping / skyping schedules. Negotiate, do not bargain. You can, of course, try to find a new place to live, but no one guarantees that you will have better relationships with your new roommate. Remember, you will live with a person for months, which implies compromising in order to satisfy both. In conclusion: just take it easy. We are all people and we have an awesome ability to communicate and share, so use this ability and everything will work out.